Kelston joined the operator’s production engineering team and the design consultant in the initial design concept meetings. 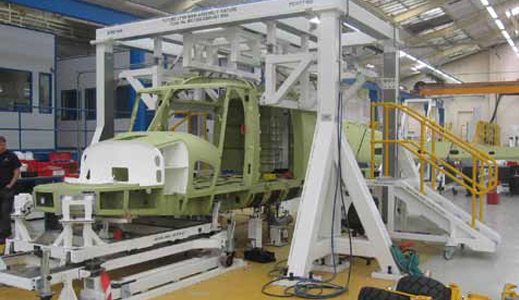 The main considerations in the task of bringing the upper and lower assemblies of a helicopter fuselage together were: operator control of movements; protection of personnel; and allowing access all around the joint position for work-shop personnel. 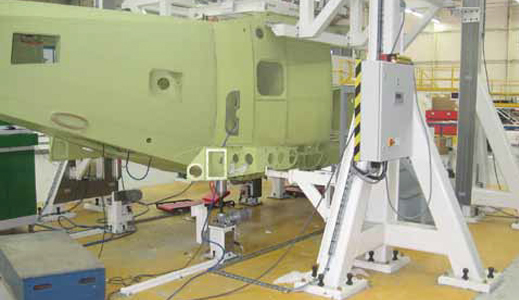 The issue of providing access all around the joint was achieved by controlling the Scew Jack lifting positions via the electronic control, which negated the need to use hard drive shafting. 3 - ultimate upper stop. 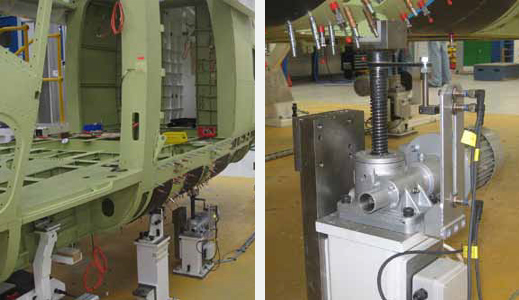 A socketed square drive connection was designed into the Screw Jack to allow individual movements on each Jack location.